What happens if I don't have 20k? Does my house go up for sale? I imagine anyone with a working system won't have to pay anything. Hopefully that will also include resales. New construction would require it, so that would add to the cost. 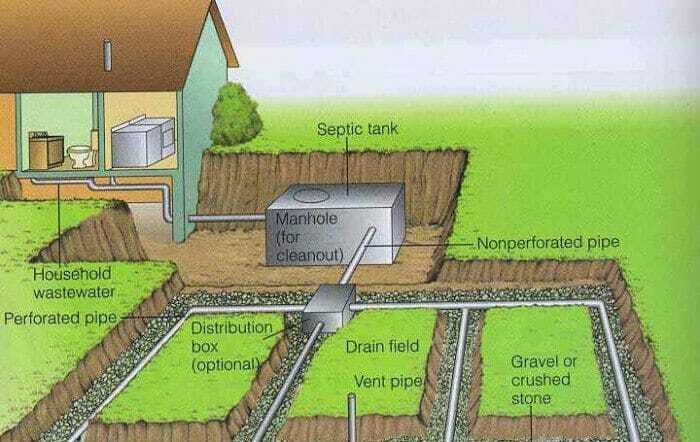 Additions to the home would likely trigger the need for this if the current cesspool/septic didn't meet size requirements. So that would add to the cost. But otherwise it will just be another pseudo tax/fee/mandate that LI local government applies. Sounds and looks like a bunch of crap to me! That's a poopy way to look at it. I think they're setting up big rebates to 1,000 homeowners. Guess who'll likely get them...while the other 260,000 homeowners...not so much. My original point was that they obviously can't force everyone to do it at once, so they'll probably require it on new construction and if people do additions on their homes and need septic/cesspool upsizing. What I don't like is that these units require electricity to work. If the power goes out (Irene, Sandy anyone) then you may not even be able to flush. It's not required today, correct. But you can see the direction this is going. I did my system around 10 years ago, and replaced with a 1000 gallon septic and 2 new concrete ring cesspools for overflows. If anyone is on the fence about fixing their old block cesspools they should look into getting it done sooner than later, because once it's formally legislated there will be a ton of activity of people trying to get upgraded before the effective date. Thank goodness they don't require leach fields though. Imagine if they needed leach fields? Some of these homes on postage stamp lots would be shyte out of luck. Leaching fields are really not used on LI, Leach pools are, basically a cesspool. Leaching fields are expensive! Typically used in areas of poor drainage and bedrock. Suffolk should have sewers (its 2018!) but where is the money going to come from? I agree, just quoting what was in the article. This diagram is based on a design by Norweco and shows the basic elements common to many models. 1) Waste flows into a chamber where anaerobic bacteria and gravity condition it for treatment. 2) Nitrogen-laden organic matter is broken down in an aeration chamber. 3) Waste enters a third chamber where liquids and solids are separated, sludge collected and wastewater is clarified. The treated liquid is typically released into a leaching field." Any way you look at this it will increase complexity, cost and hassle for the homeowner. I'd say that the next step would be that every homeowner needs their own power plant, but because of PSEGLI/LIPA/LILCO's dismal response over the years many people have invested in a generator.